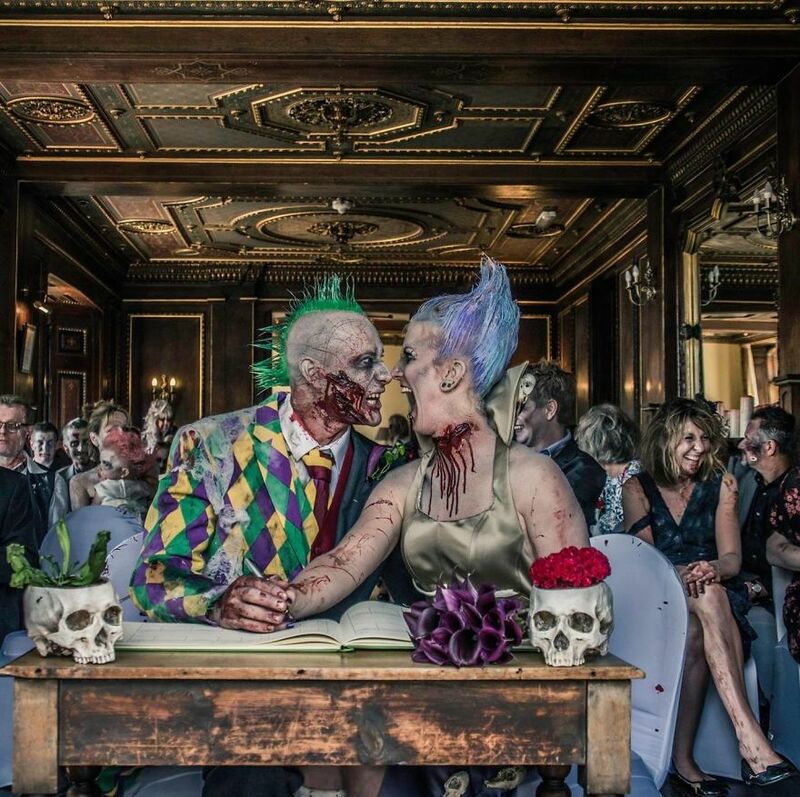 Marriages this days has gone through alot of modifications and alot of persons has resulted into creative ideal just to spice up the day and at the end of the day what truly matter is the everlasting joy it brings to both the couple and the guest. 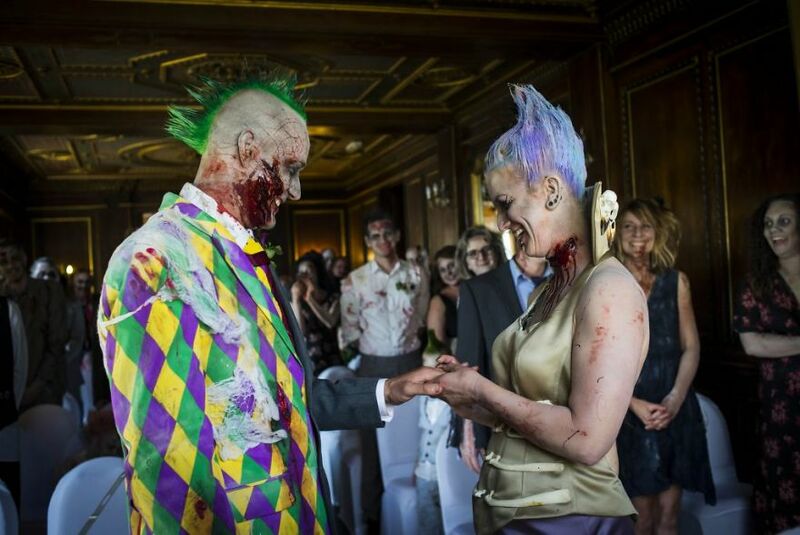 But in the case of this groom, Blue Bailey-Hunt (32 and a therapist) and Dean Pike (a butcher, age 35) decided to plan what looks like the most scary marriage ceremony ever. 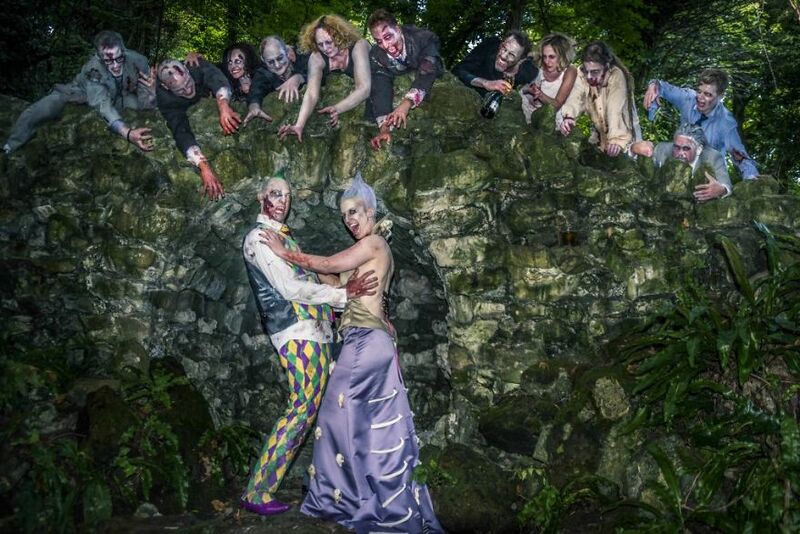 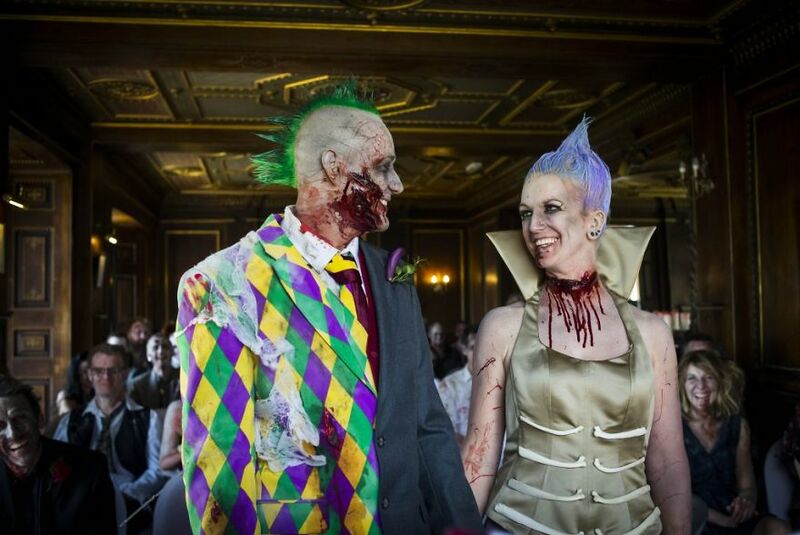 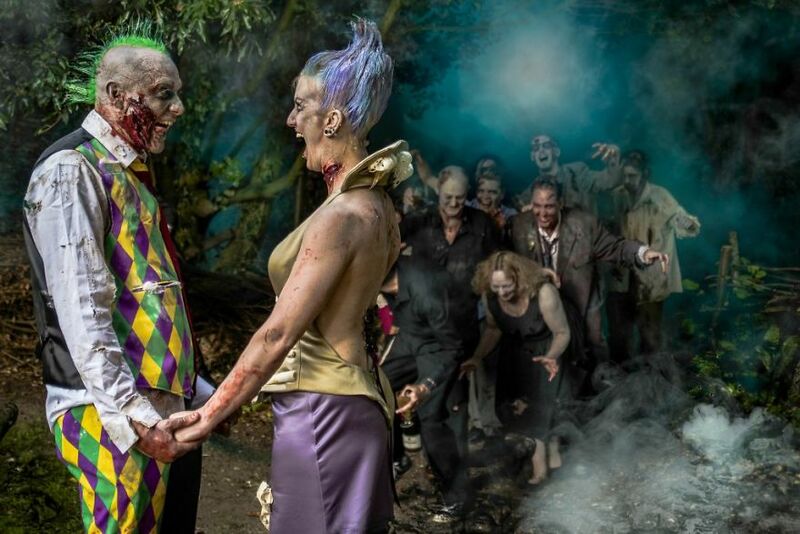 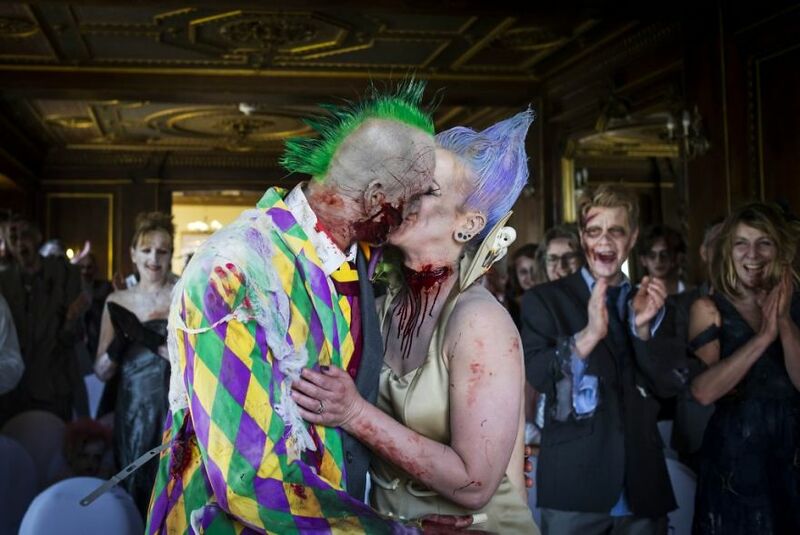 They rented the place of their dream, hired makeup artists, hairdresser and was able to convince 98 guests to dress to the theme they chose for the wedding, zombies.